Birmingham, MI – One someone mentions Detroit architecture, one name comes to mind: Albert Kahn. However, though Kahn was at the helm of the firm responsible for some of Detroit’s architectural gems, much of the creative work can be attributed to Kahn’s chief designer. 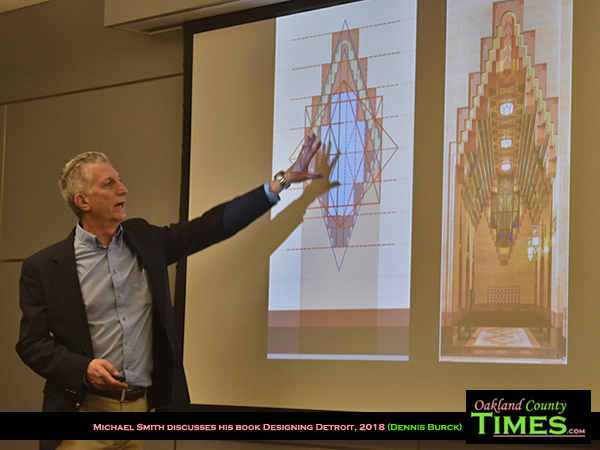 Michael Smith’s book, Designing Detroit: Wirt Rowland and the Rise of Modern American Architecture, focuses on the creative genius of Kahn’s chief designer, Wirt C. Rowland, and his legacy left imprinted across the nation with his enduring art deco designs. 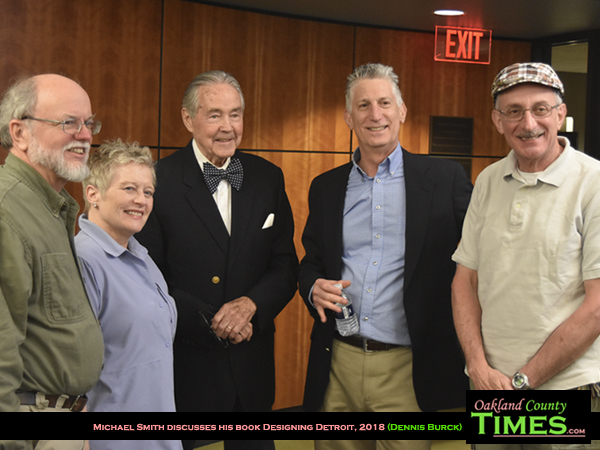 Smith spoke about his book recently at the Baldwin Public Library in Birmingham. 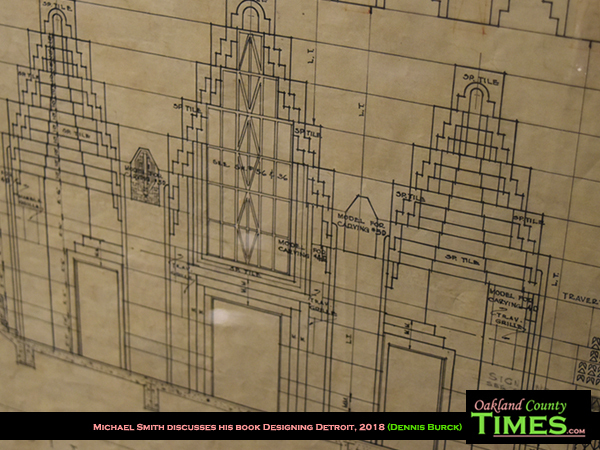 Among Detroit staples like the Guardian Building and Penobscot building, Rowland was also instrumental in designing the Buhl Building, Kirkland in the Hills and the Detroit News Building, said Smith. Smith said he first discovered Rowland’s story in 2011 when he was put in charge of a Detroit bus tour. “I had to read up on buildings and that’s when I discovered all my favorites were designed by the same architect,” said Smith. Smith said he hopes “to educate Detroiters about the incredible history of this city and to make them aware of the phenomenal challenge that was created by the cultural and economic conditions of the state. Suffering a stroke in 1946, said Smith, Rowland died age 67 in Grand Rapids. Available at Oak Park’s Book Beat and Barnes and Noble, visit ttps://www.barnesandnoble.com/w/designing-detroit-michael-g-smith/1124433982?ean=9780814339794 and http://thebookbeat.com/shop/ for purchase info.